Trade so as to loose money until your balance is under 1000. 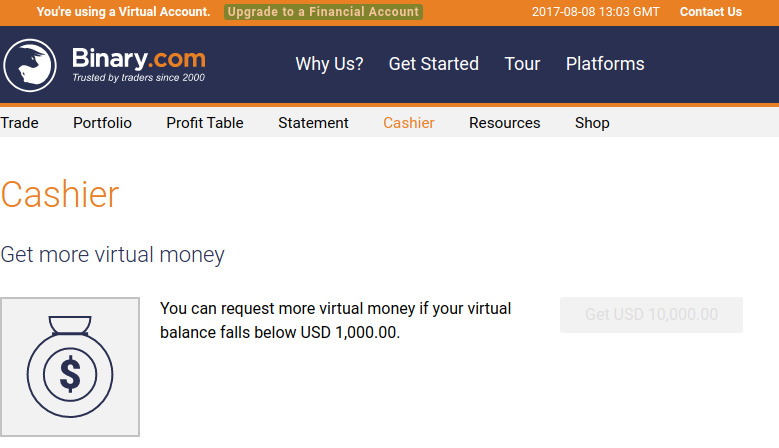 Click on the button that says "Get USD 10,000.00"
Thank you. This information has been highly beneficial to me.